Aside from "Sisid," "Amaya," "Munting Heredera," "Blusang Itim," "Secret Garden" and "Andres de Saya" GMA-7 is bringing an upcoming children�s program titled �My Chubby World�. The kiddie show will be hosted by Renz Velario, Zyrael Jestre, Daniela Jessica Amable, and Gianne Cutler and set to premiere on May 14. 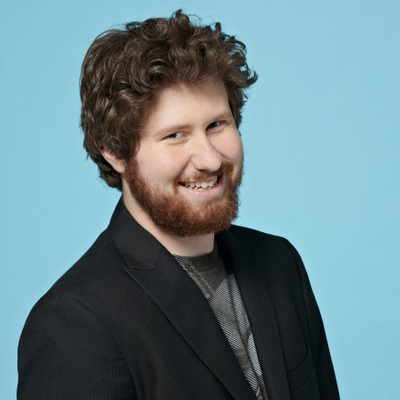 Casey Abrams, whom the judges saved on American Idol Top 11 elimination night last March 24, was sent home during the Idol's elimination night last Thursday, April 28 (April 29, Friday in Manila). Internationally recognized Pinay theater actress Lea Salonga said she felt relieved knowing that Willie Revillame decides not to pursue the libel case against them and other artists whom Willie thought were attacking her on twitter. "I mean, obviously that's a relief. However, I don't know if you can file a case against someone who's just expressing his opinion," Lea said during the Avon's 125th year party. Lea added, "My thing is, you know what, you are in showbiz. You are and I am an open target... So you know what, anybody can say anything they want. Just don't make me muraand I will respect what they say. Huwag nila akong murahin. Rerespetuhin ko ang opinion nila." It will be recalled that on April 8 during the last live airing of Willing Willie, Willie threatened to file a libel case against Lea, Bianca Gonzales, Jim Paredes, Aiza Seguerra, Agot Isidro, Tuesday Vargas, K Brosas, Leah Navarro and Mylene Dizon who publicly expressed their opinions about the controversial Jan-Jan Suan Willing Willie child abuse issue. Is May 2 Holiday in The Philippines? May 2, 2011 is a regular working day as confirmed by Presidential Spokesman Edwin Lacierda. However, Lacierda also said that May 1, Labor Day, which falls on a Sunday is a Regular Holiday. Which means double pay to all those who will be working on that day. Mula mismo sa Vatican City, kaisa ang NEWS5 sa paghahatid ng mga kaganapan sa beatification ni Pope John Paul II o ang proseso tungo sa paggagawad ng paka-santo sa isang indibidwal na napatunayang nagdulot ng himala. 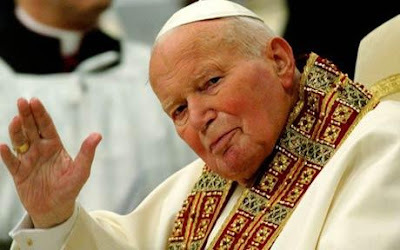 Sa misang gaganapin sa Holy See sa Mayo 1, hihirangin ang Santo Papang pinakaminahal ng buong mundo bilang 'Blessed Pope John Paul II' matapos ideklara ni Pope Benedict XVI na isang milagro ang paggaling ng isang madreng Pranses mula sa sakit na Parkinson's. Naatasan ang batikang reporter ng NEWS5 na si Joey Villarama upang mag-ulat ng mga pangyayari mula sa Vatican. Tinatayang daan-daang libong debotong Katoliko ang sasaksi sa beatification anim na taon makaraang mamaalam ang Santo Papa noong Abril 2, 2005. Ihahatid ng NEWS5 sa pamamagitan ng Aksyon TV Channel 41 ang misang pangungunahan ni Pope Benedict XVI sa Mayo a-Uno mula alas-kwatro ng hapon hanggang alas-sais y medya ng gabi oras dito sa Pilipinas. Patuloy na minamahal ng mga Pilipino ang namayapang Santo Papa dahil sa ipinamalas nitong pagkalinga sa mga Asyano partikular na sa mga Pilipino. Dalawang beses na bumisita ang Santo Papa sa Pilipinas - noong 1981 at noong 1995 kung saan ipinagdiwang dito ang World Youth Day na dinaluhan ng mahigit pitong milyong Katoliko. Dahil sa umaapaw na suporta ng mga Pilipino sa Santo Papa, ang Catholic festival na ito ang itinuturing na pinakamalaking pagtitipon sa kasaysayan ng Kristyanismo. Mag-uulat naman sa lahat ng newscast ng TV5 at Aksyon TV Channel 41 si Joey Villarama para personal na ikwento ang mga pangyayari sa beatification. Antabayanan ang daan tungo sa pagka-santo ni Pope John Paul II sa NEWS5. Gloria Romero Leads The Cast of GMA-7's Family Drama "Munting Heredera"
GMA-7 offers its first family-oriented drama on primetime this year with the launching of Munting Heredera. Playing the lead role of Do�a Anastacia, a rich widow in search of her "munting heredera," is no less than multi-award winning actress and one of the original Queens of Philippine cinema, Ms. Gloria Romero, who now makes her television debut with the Kapuso network. Joining Ms. Gloria Romero are some of today's biggest names in drama: Mark Anthony Fernandez, Camille Prats, Katrina Halili, Neil Ryan Sese, Ynez Veneracion, Leandro Baldemor, Gabby Eigenmann, Luz Valdez, Joyce Ching, Kristal Reyes, Kristoffer Martin, and Asian Television Awards best actor Mr. Roderick Paulate, who himself began his notable career as a child actor. The program also introduces three talented young girls Mona Louise Rey, Kyle Daniel Ocampo, and Barbara Miguel. They all went through a rigorous audition process before clinching the roles of Jennifer, Michelle, and Calilla. While each girl has a distinct story of her own, only one of them is the true heiress to the huge wealth of Do�a Ana. Under the direction of esteemed filmmaker Maryo J. delos Reyes, the search for the true 'Munting Heredera' begins May 9 on GMA Telebabad. 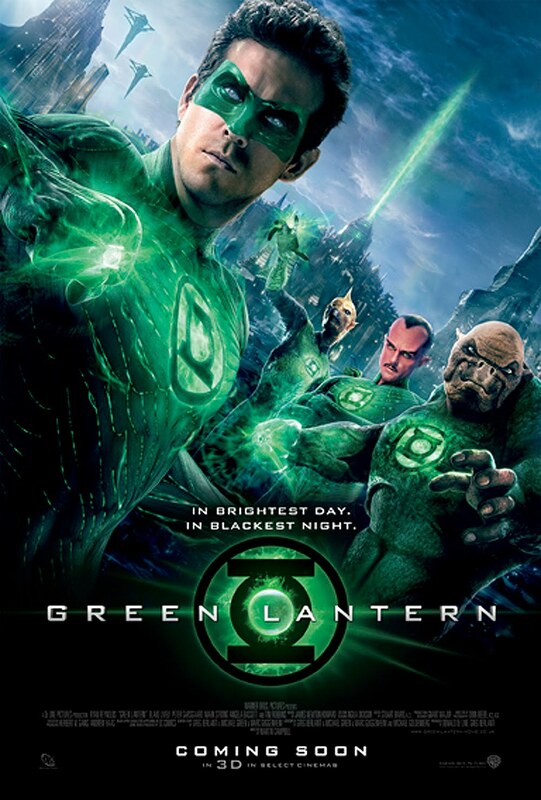 Warner Bros. has intensified its campaign for the upcoming 3D action adventure �Green Lantern� by releasing the film�s international one-sheet and banner. Take your first look at the said materials here and have a green overload! �Green Lantern� stars Ryan Reynolds (�X-Men Origins: Wolverine�) in the title role, under the direction of Martin Campbell (�Casino Royale�). In a universe as vast as it is mysterious, a small but powerful force has existed for centuries. Protectors of peace and justice, they are called the Green Lantern Corps. A brotherhood of warriors sworn to keep intergalactic order, each Green Lantern wears a ring that grants him superpowers. But when a new enemy called Parallax threatens to destroy the balance of power in the Universe, their fate and the fate of Earth lie in the hands of their newest recruit, the first human ever selected: Hal Jordan (Reynolds). If Hal can quickly master his new powers and find the courage to overcome his fears, he may prove to be not only the key to defeating Parallax�he will become the greatest Green Lantern of all. Opening across the Philippines on June 16 in 3D, 2D and regular format, �Green Lantern� will be distributed worldwide by Warner Bros. Pictures, a Warner Bros. Entertainment Company. LONDON - It may have been Kate Middleton's big day - but her sister and maid of honor Pippa Middleton turned almost as many heads on Friday attracting a flood of praise on the Internet. As soon as she stepped out of a Rolls-Royce for the royal wedding at Westminster Abbey wearing a figure-hugging white dress with a plunging neckline, web surfers rushed to heap compliments on the 27-year-old. Former England cricket captain Michael Vaughan led the way, writing on microblogging site Twitter: "Tell you what!!! Pippa is fit..."
"Is Pippa Middleton England's most eligible bachelorette now?" tweeted Sarah Weaver, commented another Twitter user. 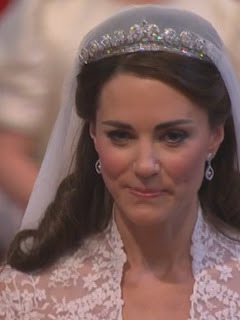 Some even thought she outshone Kate at her wedding to Prince William, which was watched by an estimated two billion TV viewers around the world and drew at least one million well-wishers onto the streets of London. "Kate Middleton and Pippa Middleton are gorgeous. Pippa I'm afraid takes the biscuit," said @ellaTheStrokes on Twitter. Would-be suitors looked set to be disappointed, however - Pippa is reportedly dating England cricketer Alex Loudon. 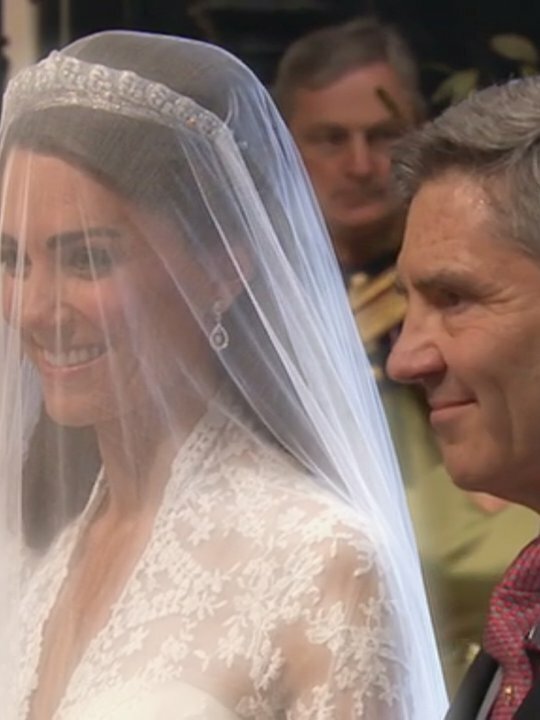 Pippa's dress was ivory and white satin, similar in detail to her 29-year-old sister's wedding gown. The two sisters' dresses were created by Sarah Burton at Alexander McQueen and both outfits were praised by fashion experts and the public alike. Television host and actress Anne Curtis is the first Filipino celebrity who has garnered 1 million followers on Twitter. In her official Twitter account, Curtis thanked everyone who has been following her in the social networking site. �1 million followers! Wooooow! Thank you to everyone for the follow here on Twitter! Thanks for wanting to follow and read all the nonsense, craziness and random thoughts I like to share,� she posted. Curtis said she is grateful that Twitter has become a way to bridge the gap between her and her supporters. She noted that it has also become a way for her to reach the people she looks up to. �I love Twitter for making it possible for me to have instant communication and feedback from you guys and also a way for me to follow the people I admire,� she said. �I wish I could thank everyone that congratulated me kaya lang baka next month na ako matapos! Hahaha,� she added. As of posting time, Curtis has 1,003,855 followers on Twitter. Other local celebrities who have a big following on Twitter are Angel Locsin (615,799), Kris Aquino (611,884), Sam Milby (484,050), Bianca Gonzalez (483,036), and KC Concepcion (471,061). The figures are all as of posting time. Just last month, a study released by comScore, Inc. revealed that the Philippines is among the top 10 users of the social networking site Twitter in the world. Since Prince William is already taken and Harry is your last chance to become a princess, check out if you are compatible with the Royal younger brother. As the world gets set to celebrate the Royal nuptials, a Royal compatibility survey was launched for wannabe princesses who are now eyeing on the royal younger brother. The URL is www.canimarryharry.com. The 11 questions in the quiz are all about Prince Harry. You will be tested on how you would behave in certain situations, what you would describe to be your personal style and whether, when it comes to the affairs of the Royals, you can keep quiet or run screaming to the tabloids! 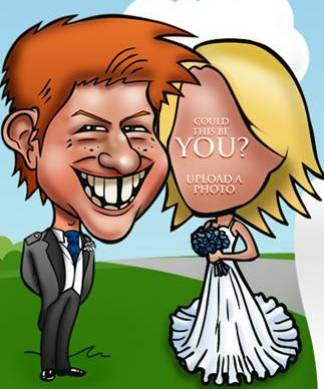 In keeping with most of the news about the wedding of the century, this is just a bit of fun, so why not try the quiz now and check if you�re qualified to become a princess. On the website, you can upload a photo of yourself and once you learn your percentage match with Harry, you can share the results on Twitter and Facebook! Why not also challenge your friends to find out who is better matched? 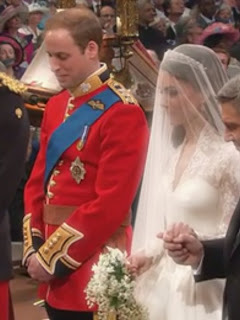 This April 29th, as you watch Kate and Will beaming on their happy day, just think, next year that could be you and Harry! However, even if you score 100%, you unfortunately won�t receive Harry in the post! Visit www.canimarryharry.com to view and take the quiz or visit the Facebook fan page facebook.com/123regfans and enter by clicking on the survey app. LONDON, United Kingdom - Prince William married Kate Middleton in regal splendour at Westminster Abbey Friday as huge crowds and a global TV audience watched Britain's monarchy pin its hopes on a new generation. 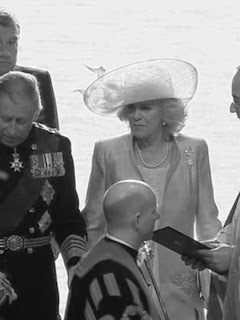 "I will," the future king and queen each pronounced solemnly, before William put a ring fashioned from a nugget of Welsh gold on her finger and the Archbishop of Canterbury Rowan Williams pronounced them man and wife. William, 28, mouthed "You look beautiful" to his bride after she walked up the aisle to the soaring strains of a choral piece that was used at the wedding of William's late mother Diana to Prince Charles in 1981. The absence of Diana, who died in a car crash in Paris in 1997, was keenly felt despite the joyful atmosphere of Friday's service, which also featured a hymn used at her funeral in the same abbey. 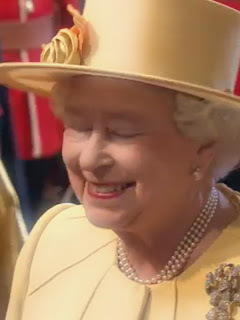 A sea of hundreds of thousands of people waved Union Jack flags in the streets outside while 1,900 guests including footballer David Beckham and singer Elton John were invited to the service in the abbey. Two billion people - a third of the world's population - are expected to have watched Diana's eldest son wed the commoner he began dating at St Andrews university in Scotland eight years ago. It is Britain's richest display of pageantry since that wedding 30 years ago and offers Britain's royal family a chance at renewal after Charles and Diana's traumatic public split before her tragic death. "They will make the monarchy fashionable again. It's good for the country," said Louise Akehurst, 25, an administrator from London. The couple will now be known as the Duke and Duchess of Cambridge, after Queen Elizabeth II, William's grandmother, bestowed the titles on them on the morning of the wedding. 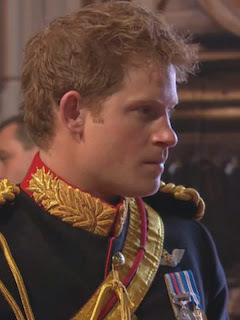 William Arthur Philip Louis - as the second in line to the throne was called during the service - arrived at the church 45 minutes early accompanied by his younger brother and best man Prince Harry. Kate, 29, had waved to the crowd as she arrived at the abbey with her father Michael in a Rolls-Royce limousine. She took four minutes to walk down the aisle, which was lined with trees especially brought in to create the feel of an English garden. Middleton walked up the aisle to The Introit, from the Latin meaning entrance, which was used as The Anthem in 1981. The first hymn - "Guide me, O thou great redeemer", was the last sung at Diana's funeral 14 years ago. 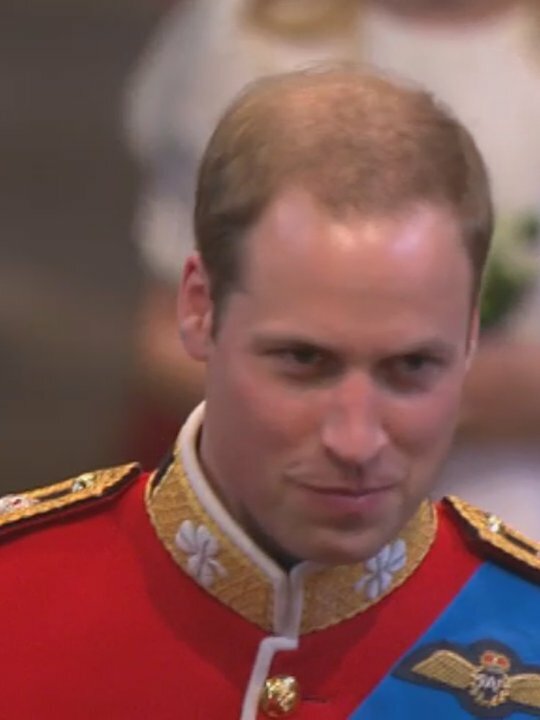 William a 28-year-old Royal Air Force search and rescue helicopter pilot, winked and shared a joke with Kate's father after appearing to tell his bride she looked beautiful. Kate, however, did not promise to obey her husband in her marriage vows - following in the footsteps of Diana, who married Charles on July 29, 1981 at St Paul's Cathedral. Charles and Diana divorced 15 years later. Palace officials confirmed her dress was by Sarah Burton at Alexander McQueen, the iconic British designer who committed suicide last year. 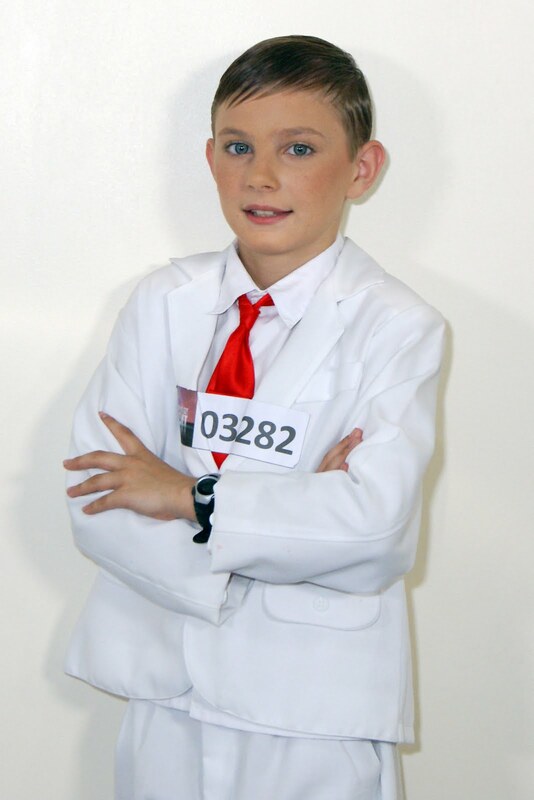 Guests inside included footballer David Beckham, singer Elton John and "Mr Bean" actor Rowan Atkinson. 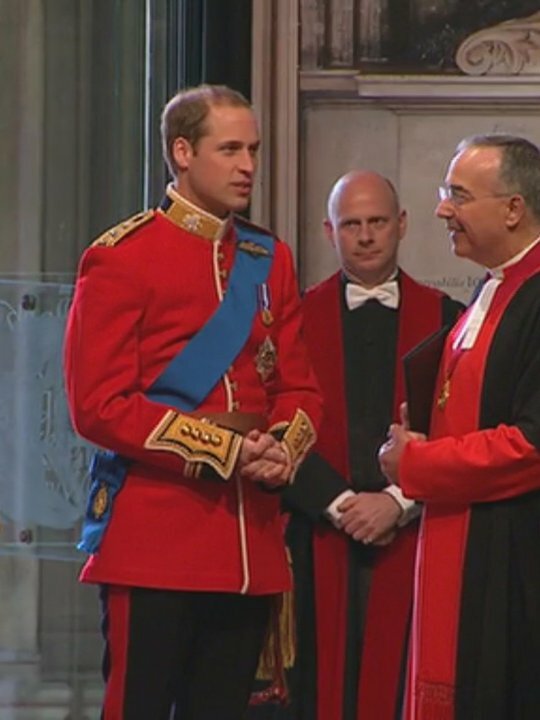 Fifty members of the royal family and dozens of foreign royals were due after William. Hundreds of thousands of campers transformed The Mall, the wide boulevard leading to Buckingham Palace, into a sea of Union Jack flags. Sandra Russell, 65, who is of French-British nationality, said she thought the marriage would be successful because Kate is "much older than Diana was at the time, much more mature and they are marrying for love." "Charles was under the pressure of his family. People here are still angry at him, and Camilla (his second wife) too. I hope William will be the next king." After the service, the newlyweds climbed into a horse-drawn open carriage to make the journey from the abbey to Buckingham Palace where the couple will follow tradition by appearing on the balcony with the royal family and kissing. About 5,500 street parties are expected across Britain on Friday, including in the Scottish university of St Andrews, where William and Kate met, and in the bride's home village of Bucklebury. More than 8,500 journalists and technical staff are covering the wedding for a global audience. Kapuso stars Aljur Abrenica and Kris Bernal topbill Spooky Nights' second offering, The Ring Tone. It replaces Marian Rivera's Bampirella and begins airing this Saturday, April 30. 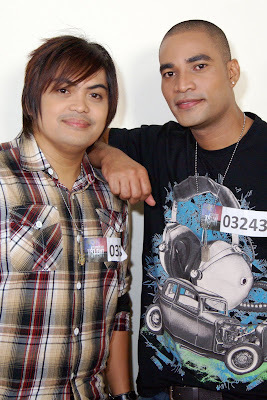 Having journeyed stardom together, from Starstruck to having a title role each, Aljur and Kris proved their team-up and friendship to be strong and perennial. Last seen in the primetime soap, Machete, the Al-Kris love team comes back in a horror comedy series inspired by Asian horror films like The Ring, The Grudge and The Eye. In the story, Aljur stars as a "bad boy" named Brix. He is a "maginoo-pero-medyo-bastos" type who courts a sweet girl played by Kris. Opposite him, Kris' character, Nancy is very lady-like and can even be described as very "manang." She secretly likes Brix but plays hard-to-get to the guy. The story begins when Brix, Nancy and their friends win a weekend treat in a resort from a radio text promo. Unknown to them, their supposedly fun summer adventure could turn ugly and even scary as they encounter a vengeful ghost of a woman named Sad-ako. Amid the scary and crazy situations the group runs into, their friendship is put to the test as they discover that Sad-ako haunts them because of Brix. Will the opposites, Brix and Nancy, end up with each other? Or will Sad-ako's revenge and claims of having a past with him dissolve the attraction Nancy has for the bad boy? Will the two and their friends get out of the haunted resort alive? Joining Aljur and Kris in this series directed by Lore Reyes are Sam Pinto as Tricia, Nancy's friend and love rival; Sef Cadayona as Vanessa, the uniquely "gifted" BFF of Nancy and Tricia; Gerould Aceron as Mac, Brix's younger brother; DJ Rico Robles as Papa King, the mysterious DJ; Gene Padilla as Mang Aga, driver of the barkada; Benjie Paras as Dr. Morgan; and Moymoy Palaboy in their surprise roles. Starting April30, Spooky Nights Presents: The Ring Tone airs every Saturday before Kapuso Mo, Jessica Soho on GMA-7. "ASAP Rocks" bursts into colorful surprises for every kapamilya all over the world. Get ready as we paint the town red with a kaleidoscope of celebrations from the country's most vibrant stars.. IT'S A RED LETTER DAY! Primetime Princess Kim Chiu soars higher than ever in a fantastic birthday blow out you don't want to miss. The cutest birthday treat from child wonder Mutya Orquia. Plus, join her and the star studded cast of PABLO S. GOMEZ'S MUTYA as they bid farewell to followers. Witness as Star Cinema celebrates 18 stellar years in the Philippine entertainment industry with its much awaited movie � "IN THE NAME OF LOVE" led by the country's finest Aga Mulach, Jake Cuenca and the one and only Ms. Angel Locsin. Heartwarming launch of the most highly anticipated teleserye of the year � 100 DAYS. Parokya ni Edgar reveals newest single "PANGARAP LANG KITA." The green light is on as the biggest, grandest and most awaited supahdance battle on Philippines begins this Sunday. ASAP SUPAHDANCE OFF kicks off with our Ten Ultimate finalists from all over the country. Find out who will step up and compete for the ultimate glory of becoming country's first ever ASAP SUPAHDANCER! Catch the ASAP supahdance premiere together with the Supahdance Krew, Dance Quad, Shaina Magdayao, Maja Salvador, Iya Villiana and Teacher Georcelle Dapat of G-FORCE. You'll never go blue with the greatest concert performances from the ASAP Sessionistas, Champions Christian Bautista, Erik Santos, Jed Madela, Yeng Constantino and Angeline Quinto. Plus Billy Crawford, Vina Morales and Divine Diva Zsazsa Padilla. Get ready as we color your life with the country's brightest superstars � Piolo Pascual, KC Concepcion, Sam Milby, Gerald Anderson, Bea Alonzo and Anne Curtis. ASAP ROCKS in full color this Sunday, 12 :15 high noon. MYX beats the heat through a cool night of rockin'! Grab those summer gear and head to the white sand beach of Boracay this weekend, as MYX, the country's No.1 music channel, flies in the country's most popular bands to the world's most-loved beach, Boracay. Catch the Summer MYX Fest 2011, summer's brightest Pinoy Rock MYX beach and booze concert, on April 29, 8p.m., at the Club Paraw and Ariel's Place, Station 1, Boracay island. Featuring most sought after rock bands Sandwich, Gloc 9, Parokya Ni Edgar, Wolfgang, Chicosci and Kamikazee, this year's Summer MYX Fest offers the best of the best in OPM. MYX VJs Luis Manzano, Nikki Gil, Iya Villania, Bianca Roque, Chino Pio, Janine Ramirez and Robin Nievera host this party-like-it's the end of the world-event. Plus, exciting perks and prizes await the guests of the concert as MYX VJs play games in between band performances. Also, enjoy the thrilling booths situated around the venue. Just like their characters Gabriel and Via in the hit primetime soap "Mula sa Puso," JM De Guzman and Lauren Young seem to be getting closer to each other. The two are said to be spending time a lot off cam and would even fool around the set teasing and tickling each other. JM would reportedly put his chair right beside Lauren's whenever they are on standby inside the tent. The dramatic actor doesn't deny this but clarifies that he did it so that he will get closer to Lauren who is his loveteam in the show. "We really need to establish a bond off-screen so that, the moment we are in front of the cameras we are already comfortable with each other and do better with our scenes specially the kilig ones," explained JM. This is the first time the two worked with each other and Lauren admitted that she didn't really have a hard time working on their chemistry. "JM is very easy to get along with so we became close really fast. I can say we are now really comfortable being around one another," said Lauren. Fans will definitely fall in love even more this week as Gabriel and Via's relationship gets deeper. Via is starting to reciprocate Gabriel's affection but how long can they keep up especially now that her father Fernando is against them? During the Holy Week, ABS-CBN ran a special marathon of "Mula sa Puso" which was well received by its avid viewers. Don't miss "Mula sa Puso," Mondays to Fridays, before "TV Patrol" on ABS-CBN. Follow the show's official Twitter account at http://twitter.com/mulasapuso2011 and official Facebook page at http://facebook.com/OfficialMSP2011. If you have your SkyCable Digibox iRecord, you can set it weekdays at 5:45 pm on ABS-CBN. TV5, the official media partner of Justin Bieber My World Tour, will give out premium Justin Bieber concert tickets and other exciting prizes through its back-to-back Bieber Fever contest. For the cool and fun "Be a Belieber" online contest, interested participants just need to upload a personal video performing their favorite Justin Bieber song on the TV5 Justin Bieber promo page (www.tv5.com.ph/justinbieber) and fill out the promo application form. Videos will be judged based on the following criteria: 10% � Impact, 30% � Creativity, 30% � Originality, and 30% � Voice Quality. Participants have until May 1 to submit the videos and judging will be on May 2. The top 10 videos will win 4 GOLD Justin Bieber concert tickets for each contestant and the top videos will get meet & greet passes to Justin Bieber. The best entry gets the grand prize of a brand new Sony Ericsson Xperia Arc phone. TV5 viewers also get a chance to win Bieber tickets in a text promo wherein all they have to do is watch out for the Justin Bieber Feber code that appears in the Magic 5 shows: Aksyon (5:45-6:30pm) and Babaeng Hampaslupa (9:15-9:45pm) from Monday to Friday, Talentadong Pinoy (8:30-9:30pm) on Saturday, Pinoy Samurai (12:00nn-1:00pm) and Fantastik (3-3:30pm) on Sunday. Register by texting JB and send to 2929. After registering, you can text JB and send to 2929 to qualify for the raffle. Promo starts on April 27, 2011 and ends on May 7, 2011. Each winner will take home two SILVER Justin Bieber concert tickets. List of winners will be published and updated daily on www.tv5.com.ph/justinbieber. Winners will also receive a call from a TV5 representative. Happy Yipee Yehey! (HYY) hosts are now gearing up for their first-ever provincial show in Lingayen Beach Front, Capitol Grounds, Pangasinan this weekend. Catch this exciting treat after Showtime on ABS-CBN this Saturday. They said their getaway is a chance to tighten their bonds with each other, as well as to give joy and yes, prizes to the people of Northern Luzon. Lingayen is known for its beautiful beaches that's why HYY hosts said that they will definitely not forget their best swimwear, shades and of course, sunblock"Lagi naman akong naka-shades kaya di na problema yun," jokes Randy, who owns several sunglasses. "Ready at excited na kami sa out of town bonding ng grupo," said beauty queen Bianca Manalo. Mariel shared that this is her chance to explore the richness and beauty of the Philippines. She said she has been to many places in the world, but our country is just simply like no other. "I'm so excited to visit Lingayen again," said Mariel, Robin Padilla's wife. Toni Gonzaga, on the other hand, wants to thank her ever-loyal fans in the north, who have been supportive of her past projects in the Kapamilya Network. "Napakaswerte ko para mabigyan ng mga break, kaya naman sobrang thankful ako kasi successful yung mga yun. This is my chance para pasalamatan ang mga kababayan nating Pangasinense," said Toni. John Estrada reminisces his recent beach wedding. "Naku, naalala ko bigla yung kasal namin ni Priscilla. Parang kailan lang yun. Ngayon, balik-beach ulit ako pero this time, magpapasaya kami ng mga Kapamilya nating patuloy at buong-buo ang pagkapit sa show," said John. The party never stops when you're with your favorite noontime barkada who will also have a motorcade around Lingayen�with hosts Randy Santiago, John Estrada, Mariel Rodriguez and Toni Gonzaga, and Bianca Manalo, Melai Cantiveros, John Pratts, Bentong and Matteo Guidicelli. 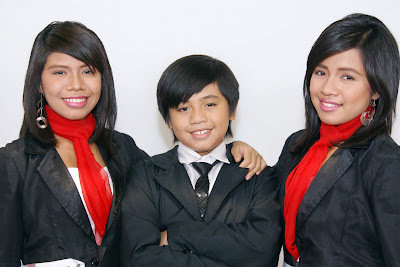 Never miss Happy Yipee Yehey!, Mondays through Saturdays, after Showtime on ABS-CBN. Bida Best Kapamilya! Marlene Aguilar-Pollard, the mother of murder suspect Jason Ivler was ordered on Tuesday by the Quezon City Regional Trial Court judge a fine of P20,000 for indirect contempt. The order was resulted to an incident last March 23 where Aguilar reportedly bestowed Judge Bayani Vargas of Branch 219 her violent reaction for the latter's refusal to grant their camp's request to have her son excused from attending the proceedings. Aguilar also reportedly challenged the judge to a fist fight, prompting him to order her out of the court. 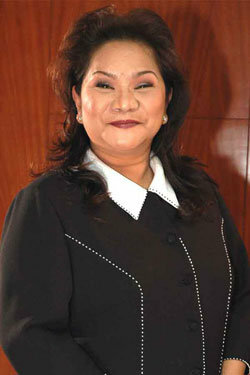 Judge Bayani also warned Aguilar that she would be put behind bars if she continues to display discourtesy towards him. However, Aguilar's lawyer Atty. Priscilla Marie Abante immediately defended her client and said that her client only got mad during the hearing and vented out her frustration over a television station after ballistic test and the gun used in the murder of Renato Ebarle Jr.'s son was reportedly missing. Abante also said that the judge's denial of Ivler's request to be excused from the hearing after no witnesses were present that day made Aguilar very furious. Friendster, the first social network site is shutting down its social networking services on May 31, 2011 after 9 years of being online. On its e-mail sent to users last week, Friendster advises them to export their profiles, photos, and blogs by May 31 or these will all be history. All these will be erased to give way to the new Friendster which will be launched in a couple of weeks. Nikolai Galicia, Friendster and MOL country manager for the Philippines said they can no longer compete with now the world's most visited site - Facebook. "You can't compete with Facebook. They did a good job. It's a Facebook world. But Galicia also disputed rumors that Friendster is shutting down. "Friendster will continue. Mag-iiba lang ang focus niya. After MOL bought Friendster, we are moving forward. The new Friendster will complement Facebook." Friendster will retain its name but will discontinue its social network services. It will be re-launched as a social entertainment site where users will be able to play games and listen to music. "Fifty percent of FB users don't like games. We will service the other 50 percent." said Galicia. Friendster was bought by Money Online (MOL), a Malaysian company that also owns the Berjaya group of companies, from its American owners. 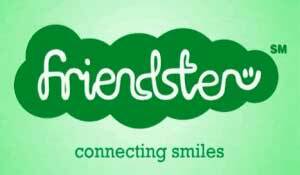 The Philippines has the most number of Friendster users worldwide with an estimated 20 million users. E! 's Complete Coverage of William and Kate's Royal Wedding, Live and Exclusive on Velvet! Velvet (SkyCable Channel 53) the most glamorous female entertainment channel on cable gives you exclusive front-row seats to the wedding of the century. Be at the center of it all with E!�s Royal Wedding Coverage on April 29 to 30. Velvet proudly offers over 7 exciting hours of in depth coverage before, during and after the most-awaited union of Prince William and Kate Middleton. Live from London, E! celebrity news personality Giuliana Rancic and UK television personality Dermot O�Leary give up-to-the minute details and exclusive scoop during the comprehensive 5-hour Royal Wedding coverage on Apr. 29 beginning at 4pm. Royal expert Angela Rippon, fashion analysts Louise Roe and Robbie Laughlin, and E!�s Catt Sadler join the exciting discussion. Altar, a one-hour post-event special on Apr. 30 at 8pm. No one escapes the prying eyes of the Fashion Police. Catch the Fashion Police: Royal Wedding special, where hosts Joan Rivers, Kelly Osbourne, Guiliana Rancic and George Kotsiopoulos dish on Kate�s wedding gown choice and the international style frenzy the Royal Wedding of the century has created. This special one-hour edition of Fashion Police airs Apr. 30 at 9pm, right after Will and Kate: Road to the Altar. Encore telecasts of this special coverage will air on Apr. 30 starting 6:30am, May 1 starting 10am, and on May 3 starting 11:30am. For more information, log on to http://velvetchannel.multiply.com. Velvet (SkyCable Channel 53), the country�s premium general entertainment is available on SkyCable Platinum, SkyCable Gold, SkyCable Silver and other quality cable operators nationwide. Sam Concepcion, Aaron Villaflor and Enrique Gil collectively known as Giggerboys were present during their former member - the late AJ Perez's requiem on Monday, April 25, at the Christ the King Parish in Quezon City and took part in the Offertory. Sam also rendered the song "Gone Too Soon" dedicated to his bestfriend AJ. Enchong Dee, who is also a part of the all-male Star Magic singing dance group, is not present during the wake as he is still in the US for Star Magic World Tour concert. Showbiz talk show host and columnist Cristy Fermin, who is currently getting a lot of below-the-belt attacks from Twitter users due to her last Sunday's interview with Aiko Melendez' ex-boyfriend Bulacan Mayor Patrick Meneses (read related article HERE) on TV5's Paparazzi, is also facing criticisms due to her sexist statements which condone abuse of women. On February 24's episode of daily showbiz talk show "Juicy" where Fermin is one of the hosts, Fermin made a statement many viewed as demeaning to women. And at one point, Fermin said: �Pero alam mo dalawang tao lang kasi, dalawang lalaking personalidad lang ang parang pinapayagan ng publiko na maging 'matulis'. 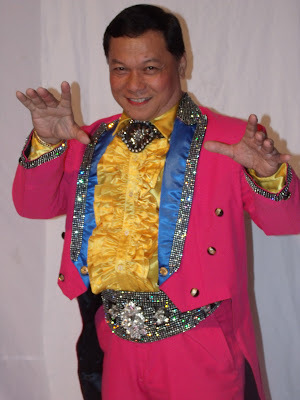 Si Rico J. Puno lang at saka si Willie (Revillame). 'Pag sila ang nag-deliver para bang malaking karangalan mo pang mabastos ka�"
The Coalition Against Trafficking in Women � Asia Pacific (CATW-AP) Executive Director Jean Enriquez, finds Fermin's statement a clear case of women rights violation and dignifying harassers. �That statement justifies sexual harassment when done by certain individuals. Is there a worse way of humiliating women than by dignifying harassers?� Enriquez said. "She also blasted the impression that it is okay to harass women, or even children, �as long as one is able to 'deliver it well' ala-Rico J. or Willie R.� she further said. Aside from that, Fermin also reported to condemned Aiza Seguerra's lifestyle and gender preferences when she made "(Aiza) Seguerra should not talk about morality as she lives an immoral life,� statement during one of the show's episode. �Homophobia and stigmatization of lesbians is also a form of gender-based violence. Both [statements] are appallingly, terribly sexist statements which condone abuse of women.� she said. Out of 174 acts who made it through the audition stage, judges� Kris Aquino, Ai Ai Delas Alas, and Freddie M. Garcia named 19 semi-finalists from Luzon, eight from Visayas, and nine from Mindanao which proves that Filipinos from all parts of the country definitely got talent. Semi-finalists from Luzon include Angel Calalas, B4, John Michael Narag, Maribeth Callanta, Dance Selection, Zaldy Carlos, Collins Gutierrez Genevieve Arandia, Fernan Santuyo aka Madonna Pianista, Filogram, Kenny Padalla, Bourbon (Feliz Ria Pichay), Joy�s Diva, Kapidamu Band, and Marcelito Pomoy. Virgilio Del Carmen Jr., Jose Emmanuel Cubil, First Beat Effect, DJP Trio, Jacqueline Schubert, Karinyoso Boys, and Leoniel Enopia and Elizabeth Dazo, on the other hand, will represent the Visayas regions. Meanwhile, Mindanao acts that made it through the semis are Skeights, Lapinid Sisters, Happy Feet, Rafael Pavia, Next Generation Band, Buildex Pagales, Suwahib Samplidan, and Larvae. The first semi-final kicks off this Saturday (April 30) at the PAGCOR Grand Theater with the first performance night for the second season where magician Romarico Sanorio aka Rico The Magician, blind singer-pianist Jeremie Tampoy, singing Madrigal Siblings, kid crooner Brian Brady, acoustic duo Light Gauge Acoustic, and breakdancing Freestylers will be competing. Who among them will be hailed as the first set of grand finalists? Be sure to watch the show this Saturday to know the text syntax on how to vote for your favorite act. Two official grand finalists will be named�one based on the public�s text votes and another one by the judges - during the live results night to be held on Sunday (May 1). If you want to watch the show live at the PAGCOR Grand Theater, just go to ABS-CBN Center Road on Wednesday (April 27) and Thursday (April 28) from 1 PM to 4PM to get free tickets. Don�t miss �Pilipinas Got Talent 2,� hosted by Luis Manzano and Billy Crawford, every Saturday and Sunday, 8:45 PM on ABS-CBN. ROME � Filipino Catholic faithful based in Rome are eagerly awaiting the beatification of Pope John Paul II on Sunday, May 1. Seventy-five-year-old Thelma Gaa holds Pope John Paul II in the highest regard for his faith and the good example that he had shown when he was still alive. When the Pope passed away in 2005, Gaa was among the throngs of people who lined up just to see him for the last time. �Sa burol niya, wala akong hiniling kung�di ang turuan at makapag-akay ako sa kabanalan lalo na ang aking mga mahal sa buhay at lahat ng kahilingan ko ay natupad," said Gaa. She said she will attend the mass at the Vatican for the beatification of the Pope on May 1. Batangas native Mary Maglunog has indicated her wish to attend the Pope�s beatification. She said she learned a lot from the Pope. �Sa darating na May 1 ay isa pong blessed day para po sa ating mga Pilipino at sa buong mundo dahil ito ang araw na mabe-beatify ang ating Santo Papa na simbolo ng ating Kristiyanismo at simbolo ng ating pananampalataya," said Maglunog. 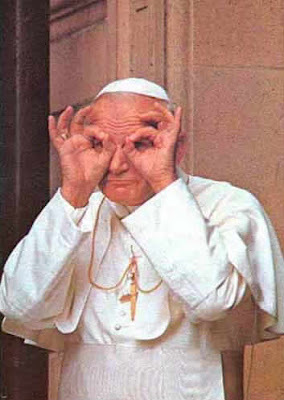 Even for non-Catholics like Rose Solares, she could not help but admire the Pope. �We don't share the same faith but we share same ideas. Marami siyang ginawa, iyong katapangan niya, kahit ang comfort ng kanyang lugar para maiayos ang mga bagay na nagkakagulo," said Solares. Academy Award� winner Reese Witherspoon and Robert Pattinson bring to life an epic tale of forbidden love in a magical bygone era filled with adventure, wonder and great danger in the Francis Lawrence helmed �Water For Elephants� based from the bestselling book of the same title by Sara Gruen. The movie takes us back in time when a veterinary student from the wrong side of the tracks, Jacob (Pattinson), meets and falls in love with Marlena (Witherspoon), a star performer in a circus. They discover beauty amidst the world of the Big Top, and come together through their compassion for a special elephant. Against all odds � including the wrath of Marlena�s charismatic but dangerous husband August (Christoph Waltz) � Jacob saves Marlena from an unhappy life and they find lifelong love. Reese in the following q&a enthuses on filming �Water For Elephants� and how she trained for the circus scenes. Q: Can you describe Marlena�s journey? Q: What kind of woman is Marlena? Q: How much training did you do with the elephants and Tai in particular? Q: How challenging was the work you did with the horses? Q: Can you discuss your relationship with August, your character�s husband? 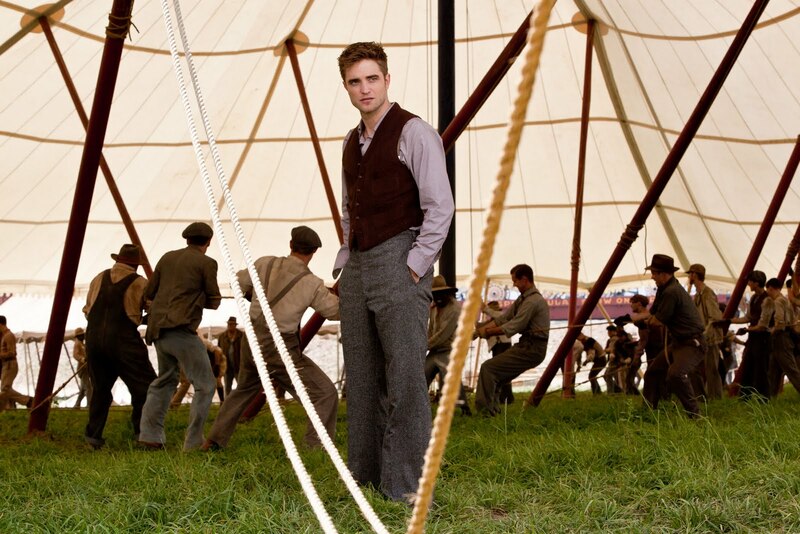 Q: Had you read the book �Water For Elephants� by Sara Gruen? Q: How timely is the film dealing with the Great Depression in America as well as circus life? �Water For Elephants� opens May 4 in theaters Metro Manila, Cebu and Pampanga from 20th Century Fox be distributed by Warner Bros.
Robert Pattinson continues to charm in a moving portrayal opposite Academy Award� winner Reese Witherspoon in �Water For Elephants� based on the bestselling book of the same title by Sara Gruen. �Water For Elephants� is an original and compelling story that takes the audience back in time to 1931, when the circus offered a welcome escape from the rigors of daily life and economic hardship. Robert Pattinson plays Jacob, a talented student, heading for a career as a vet. His world changes dramatically when he discovers that his parents have died in an accident. Destitute, he has to abandon his studies and look for work. He boards a train out of town and only later does he realize that he has joined a circus train. �Someone sent me the book, and I immediately connected to it,� remembers Pattinson. He would later agree to portray Jacob Jankowski, who after a personal tragedy, wanders without destination before hopping aboard a random train, which turns out to be the home of The Benzini Bros. Circus. That fateful train ride ultimately takes Jacob to Marlena (Reese Witherspoon), the star attraction of the circus that led to a romance and destiny that neither could have imagined. Unlike Marlena, Jacob had a protected life with loving parents. But on the brink of graduating from Cornell University�s veterinary school, Jacob�s world is shattered when he learns of his parents� deaths in an automobile accident. Broken emotionally and financially, Jacob is forced to leave Cornell. He takes to the road, without direction. Impulsively, he boards a passing train that houses The Benzini Bros Circus. All of Jacob�s traits and abilities come to the fore as he becomes increasingly close to Marlena. At first, she wants little to do with the newcomer, but when he comes to the aid of Marlena�s beloved and suffering horse, they share a moment of intimacy and tenderness that neither can shake. But there�s a powerful presence � almost a force � standing between them: August, who his employees call, with a mixture of fear and respect. August runs the circus at times like a tyrant, and at others like a caring patriarch. Similarly, his love and kindness toward Marlena can morph � in a flash � to abuse, anger and unfathomable darkness. When Jacob witnesses August�s dark side, he does everything in his power to once and for all free Marlena from his tyranny. Pattinson is best known for his portrayal of the vampire Edward Cullen in the �Twilight� saga. He gained industry notice at 19 years of age when he joined the Harry Potter franchise in Mike Newell�s �Harry Potter and the Goblet of Fire,� playing Cedric Diggory. 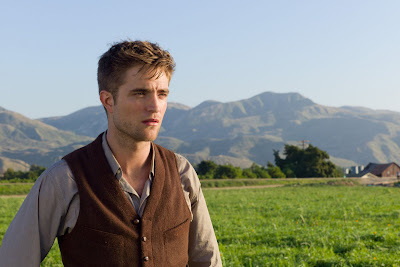 He also starred opposite Pierce Brosnan, Chris Cooper and Emilie De Ravin in the drama, �Remember Me.� Upcoming is �Bel Ami,� a film based on the novel of the same name written by Guy de Maupassant, in which Pattinson plays a young journalist in Paris who betters himself through his connections to he city�s most glamorous and influential women, played by Uma Thurman, Kristin Scott Thomas and Christina Ricci. �Water For Elephants� opens May 4 in Metro Manila, Cebu and Pampanga theaters from 20th Century Fox to be distributed by Warner Bros.
Emmylou Harris' 'Hard Bargain' Album Released!